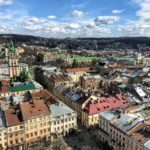 Lviv is a great city for craft beer lovers. It’s small but mighty in the craft beer scene and home to plenty of great breweries and bars to slowly while away your time in. 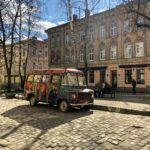 If you want to to get a true taste of Ukraine, this guide has everything you need because I went to every single craft brewery in Lviv and wrote this article so you can do the same! Ready for a boozy night out? It’s time to try some delicious new brews with the complete guide to craft beer in Lviv! There are eight major breweries in Lviv. 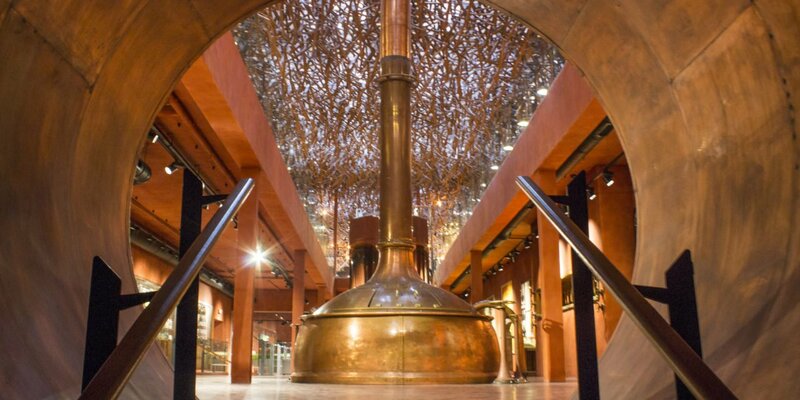 Some brew craft beer, others are German beer halls, and one even has a museum! 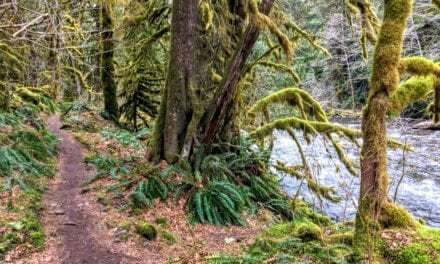 Whatever you’re in the mood for, this list has ya covered. Pravda is one of the biggest breweries in Ukraine (along with Varvar in Kiev). The three-story Pravda Beer Theater is in the center of Lviv in Rynok Square and the perfect place to start a night out. 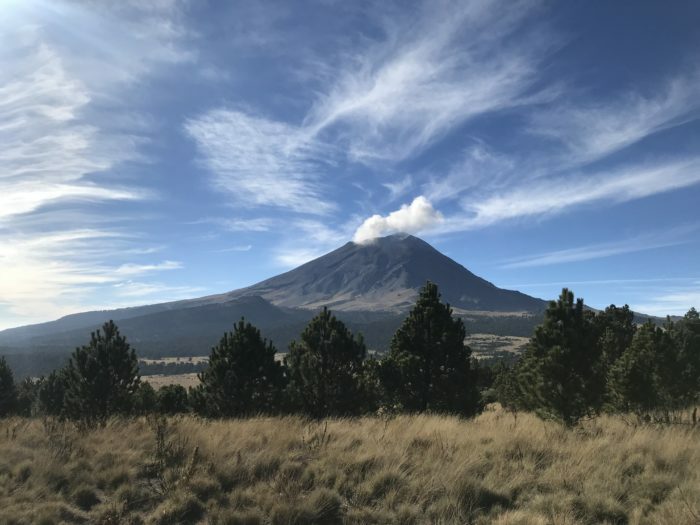 They usually have five or six of their beers on tap (for around 50 uah / 2 usd for a glass) and have an impressive beer wall where you can browse more options to get cold bottles for your table or to go. 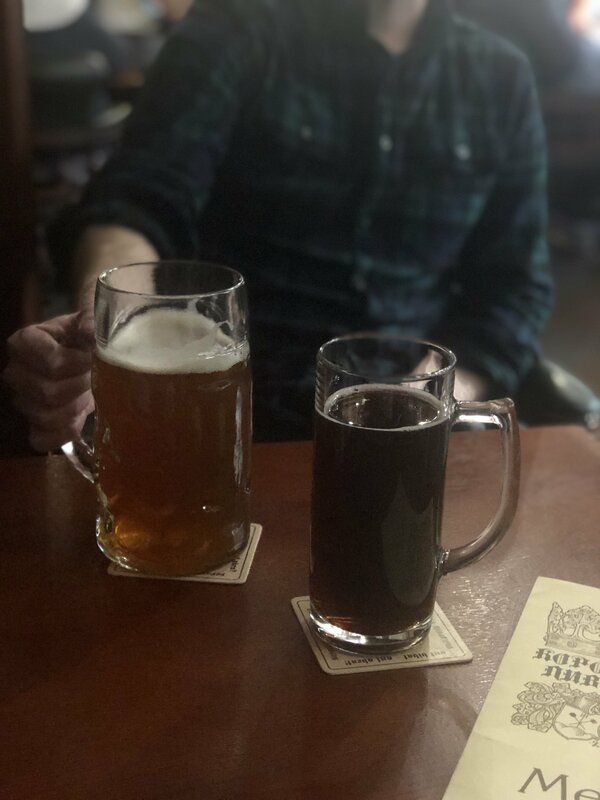 Pravda is the best brewery in Lviv because their beer is seriously good and ever-changing – they have about 30 different types in production at any given time from stouts to IPAs to wheat to sours and everything in between. If you only have time to try craft beer in Lviv at one place, this should be it. Tsypa (pronounced like cipa) is my second favorite brewery in Lviv. It’s located just around the corner from Pravda so it’s super easy to visit them both in one night. Tsypa is much smaller than Pravda and more casual, with an underground bar and outdoor seating when it’s warm. 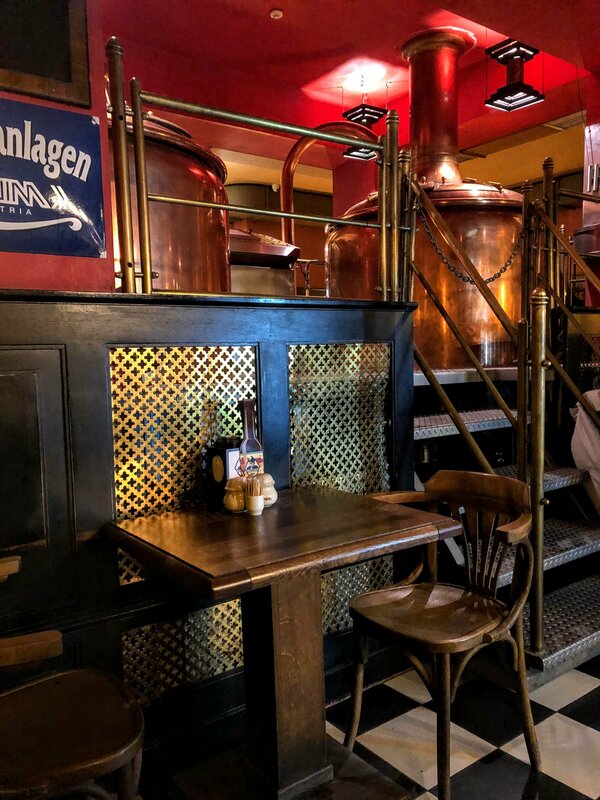 They have plenty of their own beer on tap, but unlike Pravda, they also serve beer from other craft breweries as well so you’ll get a bit wider of a selection here. For only 28 uah / 1 usd for 200 ml samplers, build a flight and try them all to find your favorite! Kumpel was the first brewery in Lviv and they make some interesting and tasty craft brews and pub food. They now have two locations – a small, older restaurant in the center and a big, modern location a bit outside of it (but still within walking distance). The small one was really nothing special so I recommend putting in the extra effort for the new one if you want to visit. Kumpel has about 10 different beers of their own creation and is the third and final true craft beer brewery that you can visit in Lviv. Castle Hill Brewery doesn’t have a tap house or anywhere that you can physically visit in Lviv. Actually, just trying to find a bottle was pretty difficult, but I managed to dig up their ‘herbed’ beer at the Bshop in Lviv. (And I’m happy to report that it was really good.) So, if you want to try every single brewery in Lviv, stop by Bshop to grab a bottle from Castle Hill Brewery before you leave. 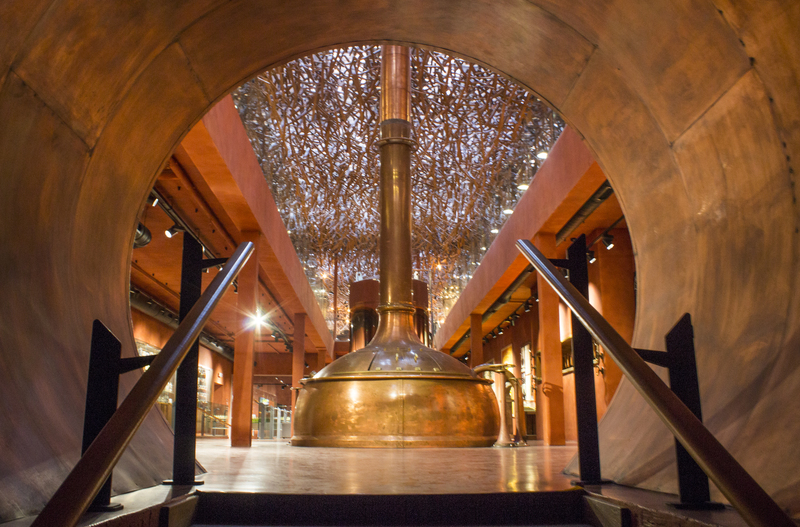 The Beer Cultural Experience Center is very different from any other brewery experience you’re going to have in Lviv. 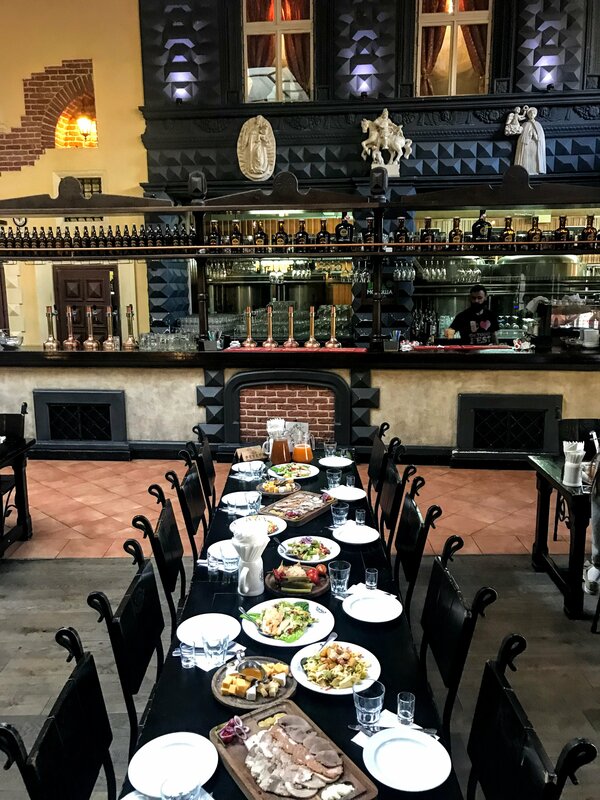 You can either pay an entrance fee to visit the museum below and learn more about the history of beer in Lviv and around the world (it’s really in depth and has tons of info in English) or just visit the tasting room above. The tasting room is modern and boasts some awesome architecture. Lvivarnya isn’t really craft beer – the brewery was founded in 1715 and is now owned by Carlsberg, so as you may expect they pretty much just brew the basics – but the atmosphere is unique and the samplers are only 40 uah / 1.50 usd for four. 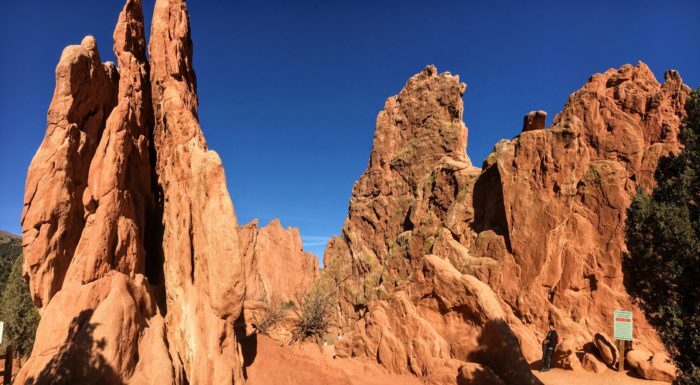 It’s a 22-minute walk from Rynok Square but well worth the trek on a sunny afternoon. Robert Doms Hop House is next to the Livarnya Beer Cultural Experience Center, but I’m not going to lie, it’s a pretty strange place. It’s connected to Livivarnya both physically and historically, located deep underground, and themed like a castle hall. 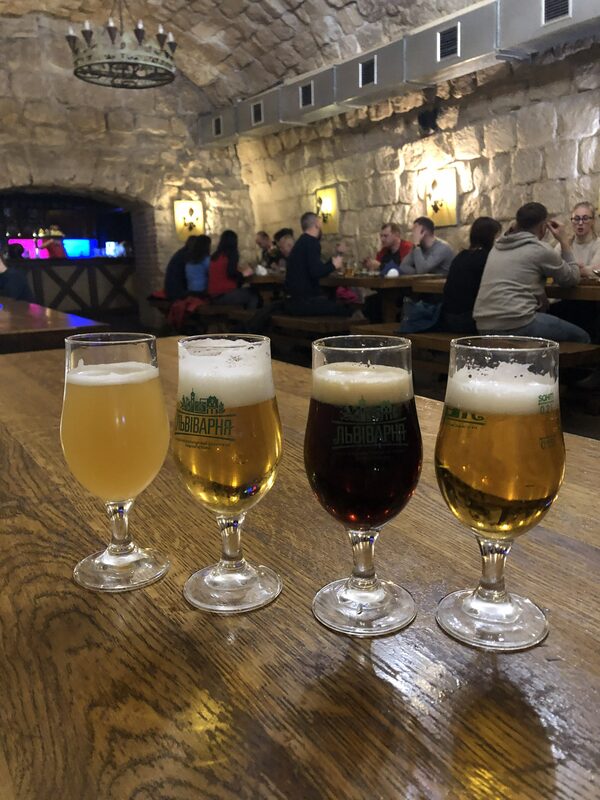 The beer and atmosphere are very average and the location outside of the city is pretty inconvenient, so I personally don’t really recommend it for craft beer in Lviv unless you’ve tried everything else on this list already. The Stargorad beer hall is located near the city center (11 minutes walking from Rynok Square) and super spacious with high ceilings and live German music. It would be a good place to go with a group or to start your day drinking on a cheeky Sunday funday out on the town, especially because the samplers are only 69 uah / 2.50 usd for four 200 ml beers: Desiatka, lager, black, and wheat. Last but not least is the Royal Brewery. 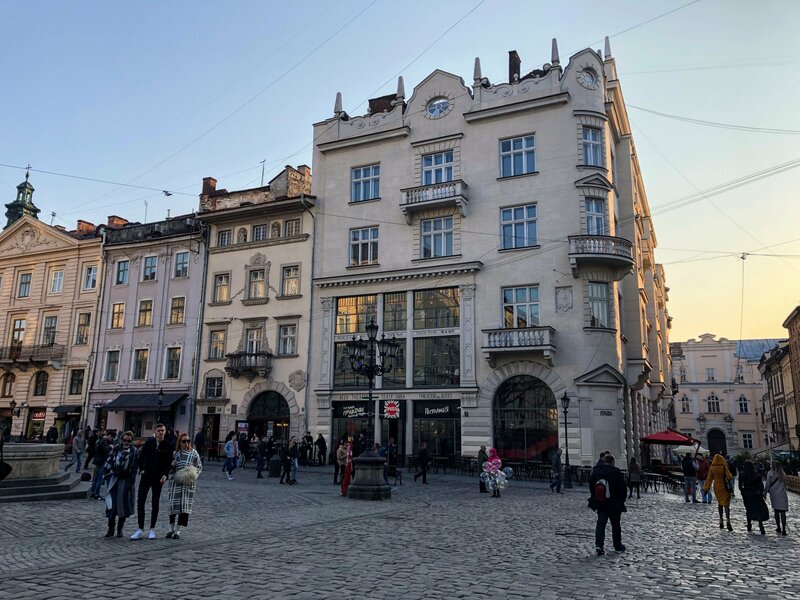 It’s smack in the center of historical Lviv and when the weather is nice you can enjoy a few pints liters and some people watching on their outdoor seating. Royal Brewery sells liters of beer for only 70 uah / 2.50 usd (44 uah for a pint) so come here to get drunk on a budget with their IPA, wheat beer, pilsner, double bock, or shlotfegerla (whatever that is, it’s pretty good) beers. 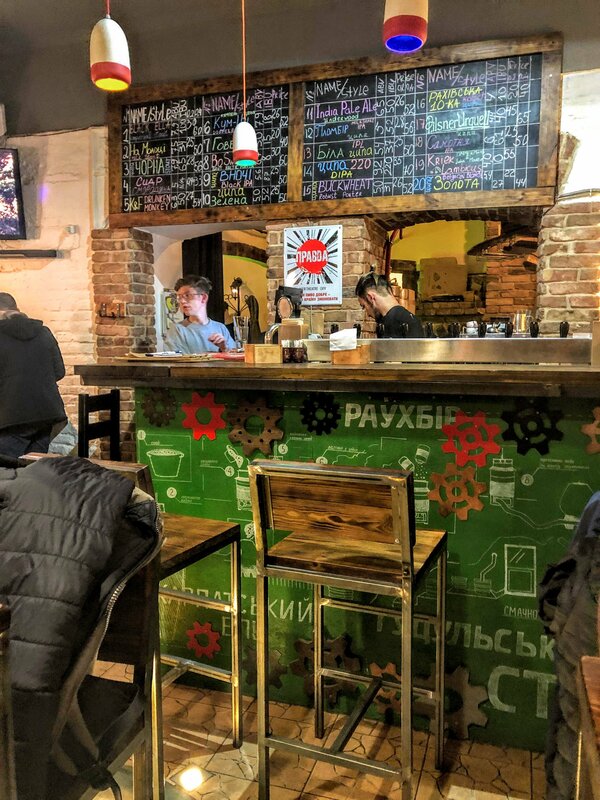 If you want a bigger craft beer selection than the breweries provide, visit these two craft beer bars in Lviv to discover more Ukrainian beer from around the country. 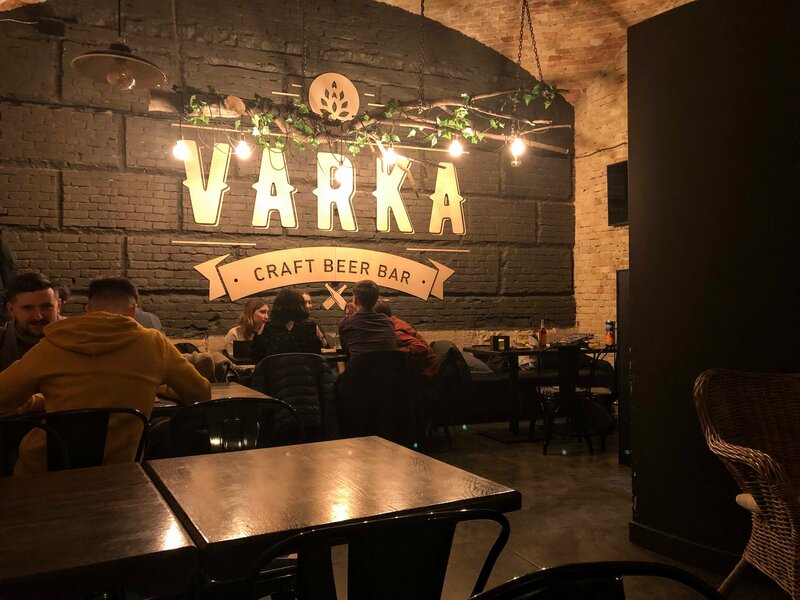 Varka is a really nice, relaxed craft beer bar in Lviv city center. They had eight different beers on tap when we went (which cost about 40 or 50 uah / 2 usd for a glass) and then a larger selection of bottles as well. I liked it a bit better than Choven, one of the most popular bars for craft beer in Lviv, just because Varka was quieter, cozier, and less crowded. 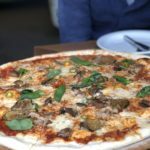 They both have similar selections (Choven’s was maybe a bit bigger and better) so it really just depends on what you’re looking for – standing-room-only at the bar at Choven or a quieter evening out at Varka. Or, since they’re only a few blocks apart, visit them both to choose your favorite! If you’re looking for craft beer for a night in, you can get it at Pravda or Bshop in the city center. Pravda has a good selection, but it’s only their beers, whereas Bshop has a variety from Ukraine and around the world (it’s the only place I was able to find Castle Hill Brewery) and beers on tap you can sit down at their tiny tables and drink as well. But for the very best selection of craft beer in Lviv, the Silpo supermarket at the Forum Lviv Mall is your best bet. 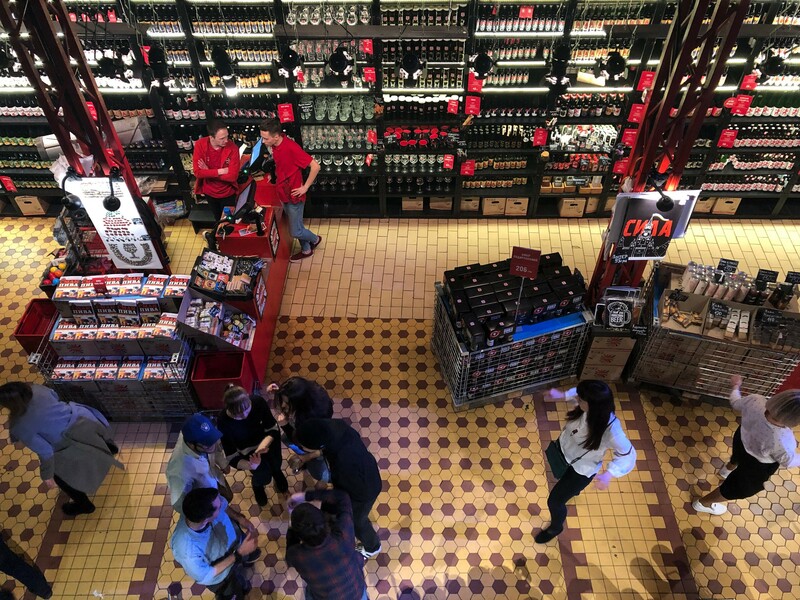 They have a seriously good collection of international craft beer, Pravda brews they don’t even have on the shelves at their own brewery, Varvar from Kiev, and so much more. Local beer prices are pretty similar wherever you go and you can expect to pay the same price you do in a bar (about 50 uah / 2 usd for a bottle) even when you get it to go at a market here. Can’t finish this guide to craft beer in Lviv without mentioning the best craft beer festivals in the city every year. Pravda throws the Craft Beer and Vinyl Music Festival bi-annually in Lviv, once in the spring and once in the fall, at their offices and brewery at FESTrepublic outside of the city. It’s one of the best places to try Ukrainian beer because about 60 breweries attend and there’s food, performances, and events as well. Check out their Facebook page to learn more. Still looking for more? 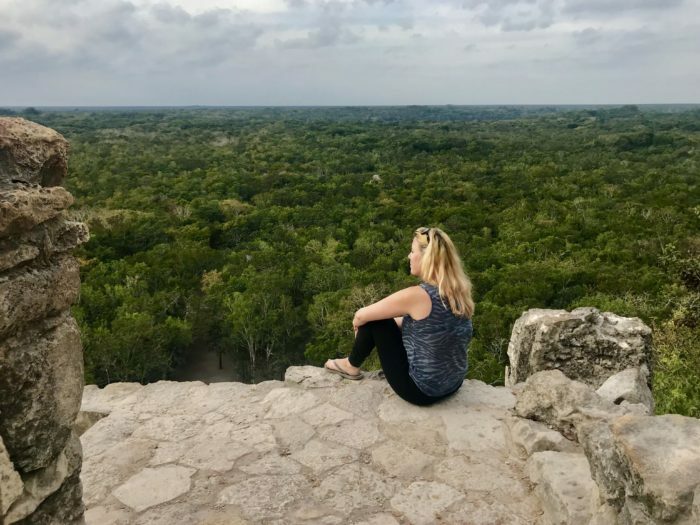 Extend your night out with my list of the 10 best bars in Lviv and then browse the Ukraine Series to discover the 32 best things to do in the city, learn how to visit the castles in the Golden Horseshoe, and so much more!